“The Boy” is a movie about a family with a doll as a son. The mother and father wanted to take a vacation, so they hired a nanny to watch their “son.” This boy isn’t like any other. It’s strange to babysit a doll in general, since dolls have no emotions and aren’t real, except there’s a twist to the story. The nanny thought she was going to babysit a regular kid, but when she found out it was an actual doll, she didn’t exactly know how to respond. The parents previously had a son who died in a fire, which they connected to the doll. The nanny had to follow a list of rules while watching the doll. She had to feed him at a certain time, give him piano lessons, read to him – things that were out of the ordinary. At first, she neglected these rules, but after seeing what the doll could do, she started to take care of him, while getting paid weekly. Without giving any major spoilers, this movie was thrilling and suspenseful. I really enjoy horror movies, but when I watched this one, I found it to be quite unique. There’s a major plot twist that you won’t expect. You’d think it’s an average haunted doll movie, but it isn’t. 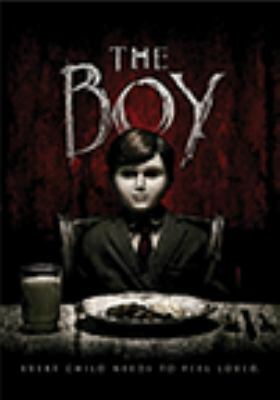 Overall, I really recommend “The Boy” and enjoyed watching it!